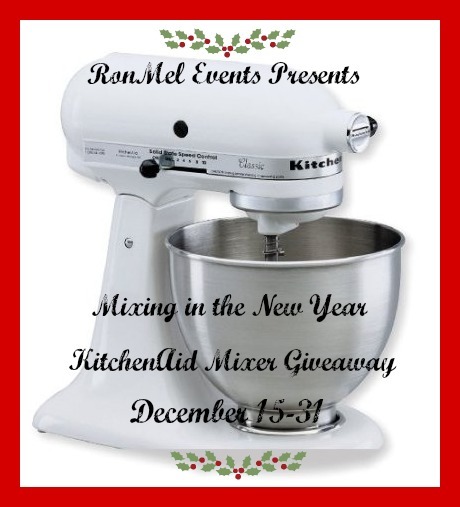 Mixing in the New Year | Win a KitchenAid Stand Mixer! Mixing In The New Year! Welcome to the Mixing in the New Year Giveaway hosted by Grandma Juice and The Kids Are Grown. This year has flown by so quickly! I can’t believe it’s almost 2013! The hustle and bustle of the holidays will be over soon and life will resume to whatever it was previously. Regardless of what the New Year brings, people will be in the kitchen. 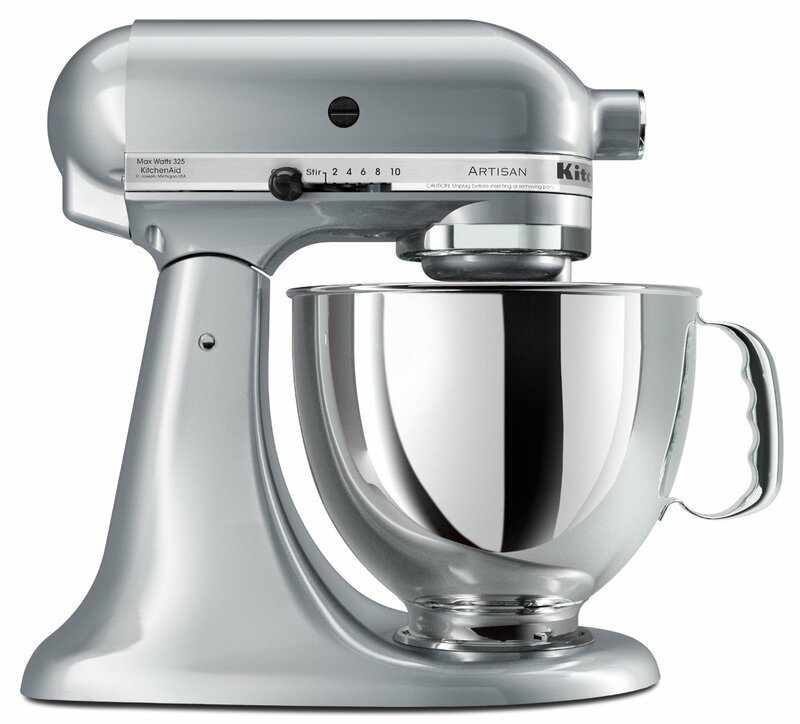 Wouldn’t a KitchenAid Stand Mixer be perfect to create some amazing dishes?! Mom With a Dot Com has teamed up with some other super bloggers and joined RonMel Events for this special giveaway. One winner will receive a brand new KitchenAid Stand Mixer! We know it’s something on everyone’s wish list. And, we aim to make sure someone gets to cross that one off! We want everyone to have a chance at winning, regardless of where you live. Being that Amazon can only ship to US winners, any Canadian or International winner will receive an Amazon Gift Code so they may purchase their own. We’ve got you covered! Enter by filling out the easy Rafflecopter form below There is only one mandatory entry (name & email in case you win); however, the rest are optional. The more you do, the better your odds. Don’t forget to check back and do the daily entries too! Good Luck! Disclaimer: This is an event Momwitha.com is participating in and is not in charge of prize fulfillment. Bread! My hands hurt really bad when I have to knead bread, so I would spend a whole day baking lots of different breads!! The first thing I would make would be a cheese cake for my wife and family this x-mas. I would make bread! I’ve always wanted to make it but I only have a hand mixer and it won’t work with that. A cake for my niece’s birthday. Thanks for the giveaway. What is going on with the Rafflecopter? Sometimes my points don’t accumulate,others,like today I can start at the point of re-entering from day one.Filling in e-mail etc…Like it’s a new contest!